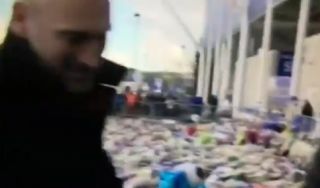 BBC Sport editor Dan Roan has been forced to apologise after being caught on film making offensive remarks as others gathered round to pay their respects to Vichai Srivaddhanaprabha yesterday. The Leicester City owner was tragically killed in a helicopter accident on Saturday evening and the whole club and city have been shaken by events. Roan, however, can be heard in the video clip below suggesting Srivaddhanaprabha had a ‘mistress’ on board the helicopter with him, and made a sarcastic quip about him being a ‘family man’.